Can you think of any place where the parties are insane and the nightlife is booming until the sun comes up and continues all the way to the next night? Las Vegas has always been that place in many ways and this is the main reason why people need to make sure that their parties are great if they want to make them memorable. The reason for this is that most people in Las Vegas are used to great parties and events and in order to stand out from the crowds, you need to be able to find a way to provide entertainment of the highest possible level. We recommend that you look into the best and most powerful way to keep everyone happy through the entire process and the best way to do this is to get some unique entertainment. 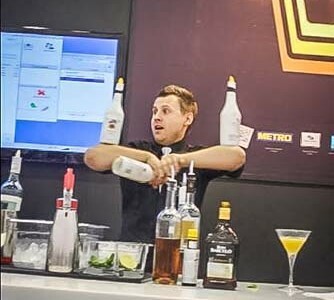 Flair bartending is always going to be the ideal way for you to make any event or party a completely enjoyable and unique experience. At SlickBartender, we make sure that we can provide the most professional and highly skilled people in the business. This means that you will get a bartender that is not only highly skilled in the process of mixing all kinds of drinks, but also a person that is going to make it possible for you to enjoy a truly unique experience all the way. If you want to hire the best and you want your next event or party in Las Vegas to be something that everyone will remember. 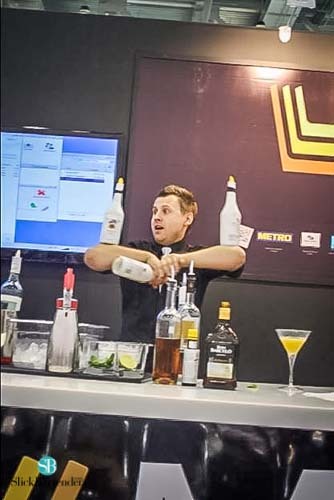 You will find that this is going to make it a lot easier for you to make this possible when you have a bartender that is performing some amazing and difficult tricks while they are serving your guests with the best mixes in the industry. This is going to be the only way that you are going to be able to simply enjoy yourself and let our professional bartenders take care of the entertainment for you.